This is the fifteenth-century parish church in Askrigg. The structure had undergone many changes since then. It had to be restored and rebuilt in the eighteenth and nineteenth century. But, the old charm of the church is still preserved well. Weekly services in the church are loved by the members. The place is also used for hosting small events. Visit this ancient church on your visit to Askrigg and you will love the tranquil environment here. 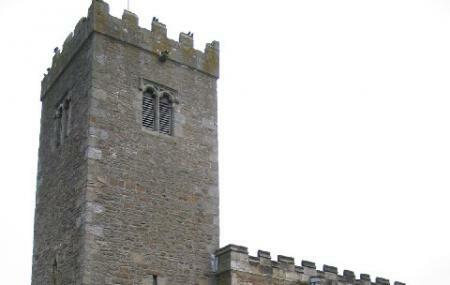 Explore Leyburn, Askrigg: St Oswald and other prime spots of the city using Askrigg trip planner. Your worry of where to stay in Askrigg is sufficed by bunch of interesting and comfortable lodging options in the Askrigg like Yha Hawes, Yha Grinton Lodge and Hazels Roost B&b. Find out how to reach Askrigg to begin with. Plenty of wholesome Askrigg vacation packages are available to choose from, pick your today! Bus 156 to Market Cross bus stop. Love this? Explore the entire list of places to visit in Askrigg before you plan your trip. Fancy a good night's sleep after a tiring day? Check out where to stay in Askrigg and book an accommodation of your choice.